Our aim is to develop a range of products to help you improve the vehicle you love. By making parts from thicker materials, hot dip galvanising parts or supplying parts in stainless steel, we hope to keep your Land Rover looking and running at it's best. YRM pride ourselves on selling parts which fit 1st time, are affordable and we believe are better than the original. 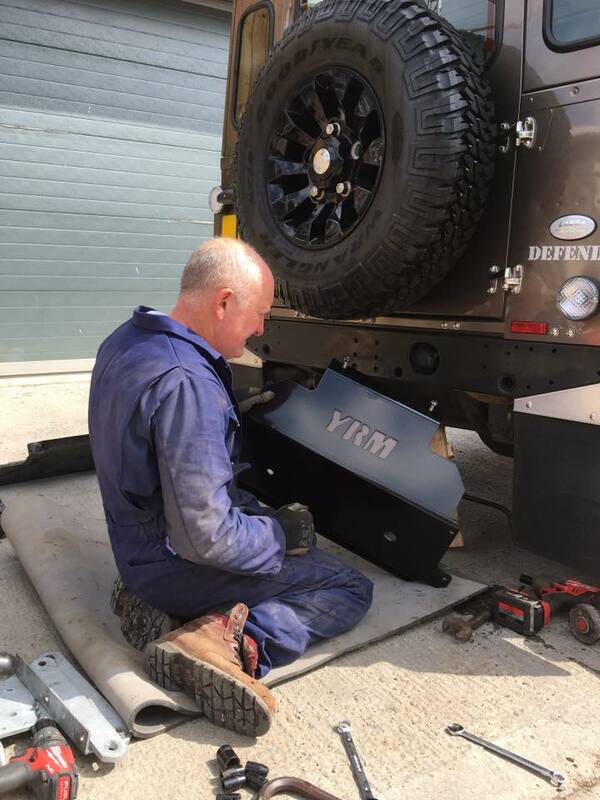 As we upgrade our own Land Rover Defender and Series vehicles we find parts that can be enhanced the YRM way. The two Ronnie's have come up with numerous quick, inexpensive fixes for your vehicles, including our Seat Box Corner Protectors (British Registered Design No:4031415 (c)). We pride ourselves in having our parts featured heavily in the Haynes Manual as well as the Land Rover Owners Magazine. We know you love your Land Rovers - so YRM it! YRM was born in 2005 and is the brain child of Ron Senior. His background was in metal fabrication and he had already done up his own Land Rover (Daisy), so he was approached to develop a replacement bulkhead repair panel; our first product, 001. Soon, all he could think about was developing replacement Land Rover parts. He did just that and began selling on eBay. By 2008 our products were selling quickly on eBay. Lois left her job and was the first official full time member of staff. Together, Lois & Ron Snr were a dream team, making, packing and dispatching parts all over the UK. Again, demand got too much for Ron Snr to continue his full time job as a Production Manager at a large Roofing company, so he took a leap of faith and joined Lois full time at YRM. We have continued to grow in staff and products since then. Increasing our range of products, we always strive to provide either the same fit and finish Land Rover provide, and in more cases than not, a better fit and finish. Land Rovers are our passion and we want to to help keep them running and on the road for many years to come.